Maintain function in extreme temps. 4.5" x 2.5" x 7", 2 lbs. 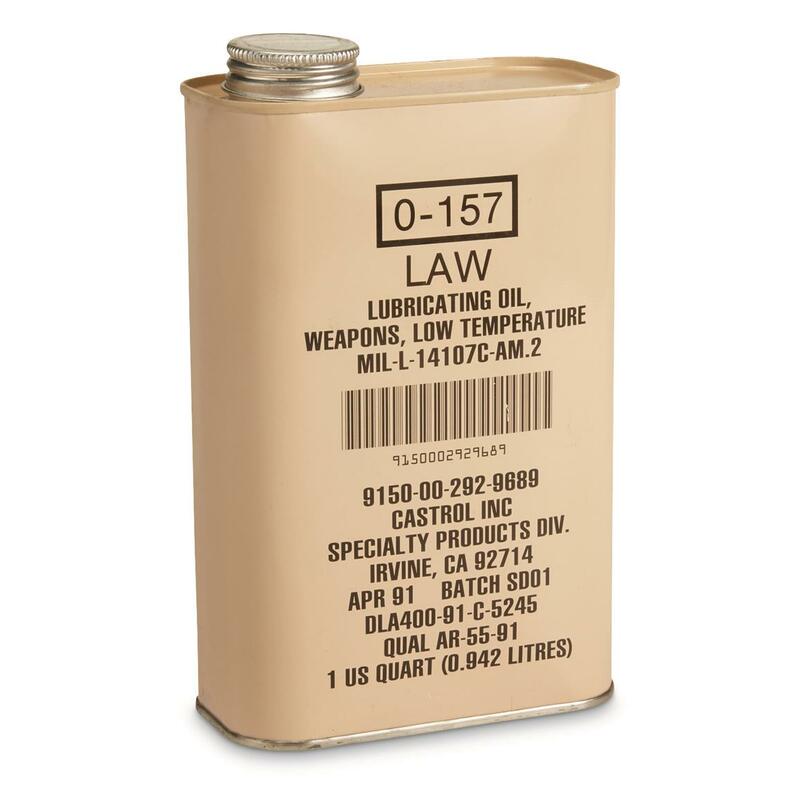 A special low-temperature lubricant designed to continue functioning in environments down to -70ºF. 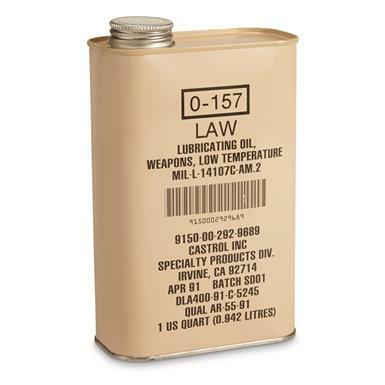 You get a full quart of Gun Oil, ready to keep your favorite military-grade firearm working smooth as silk. Dimensions: 4.5" x 2.5" x 7"